Data backup solution for all businesses which helps with malware and spam protection, data loss and theft prevention, and discovering threats. Contact Barracuda Networks for pricing details. 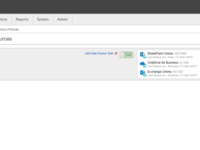 Barracuda Cloud-to-Cloud Backup Reviews Recently Reviewed! Pros: This is one of the best backup application currently available for Office 365 backup that we have tested. Product is getting better but is not fully mature yet. This software allows for unlimited retention. 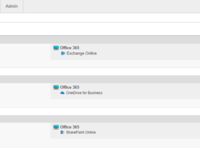 Will backup email, sharepoint, one-drive. Product takes some time to get used to, but after you spend some time with support and know how to use it it does work OK.
Cons: Backup/restores are slow to/from office 365.